Rogue Amoeba is a company with an odd name and a wonderful purpose -- providing award-winning audio tools. The company turns 15 on September 15th, and it's celebrating with a big sale on everything in the product line. How much of a sale? 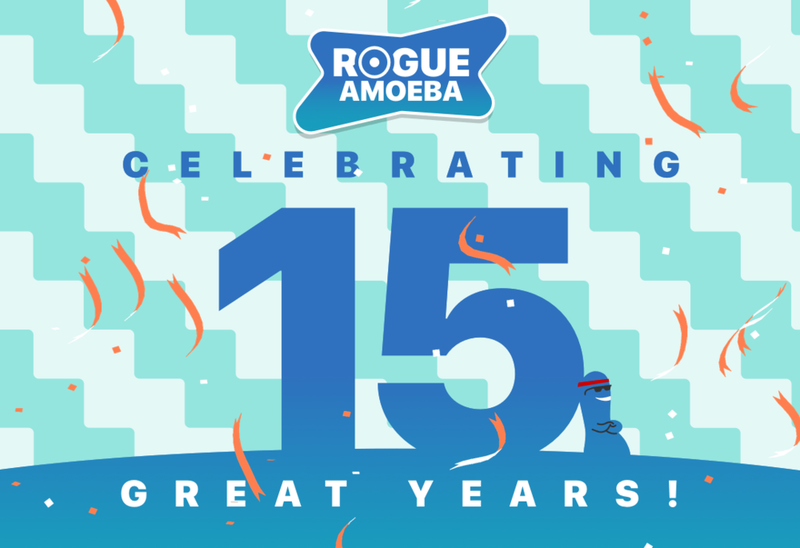 To start off with, Rogue Amoeba is taking 15 percent off of every app. Then they're adding a "savings boost" that can vary from 1.33X to 4X, basically meaning that you'll actually get to save 20 to 60 percent on the products. To get started you just need to point your browser at the sale page, where you can "scratch off" a virtual ticket for your savings boost percentage (unsurprisingly, mine came in at 1.33X -- which is still worth $9.80 off on Audio Hijack or a whopping $19.80 off of Loopback. The sale only lasts through September 30, so if you're going to take advantage of the savings on one of the great apps from Rogue Amoeba you'd better do it now.